It took two days of relaxed riding. However, the roads were drenched on the first day and the road between Laingsburg and Sutherland was almost washed away completely. I had to cross a few fast flowing rivers. You get to experience a wide range of Westen Cape areas. 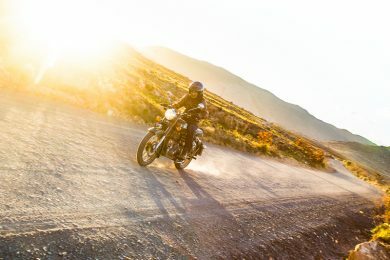 Touching on the legendary R62, then riding over Langkloof Pass near Montagu, all the way to the Anysberg Nature Reserve area. From there the Moordenaarskaroo road leads you over the Komsberg, zig-zagging over the Buffels river to Sutherland. Experiencing Ouberg Pass in its glory is always a treat. Then the breathtaking Tankwa Karoo carries you home like an old friend. Plenty to tick off your “to ride” list. Tweefontein down Ouberg Pass (Anysberg side). Langkloof Pass> there’s a turn-off to Hoek van die Berg left, but keep right, following the sign indicating Anysberg> Anysberg> sign to turn left to Laingsburg> 40 km to tarred road> left to Laingsburg> in town turn left, turn right at Hospital onto Moordenaars Karoo Road> Koringplaas (keep left)> after some serious bad roads and farm gates you’ll reach T-junction (turn right)> Komsberg Pass until you reach the R354> Sutherland. 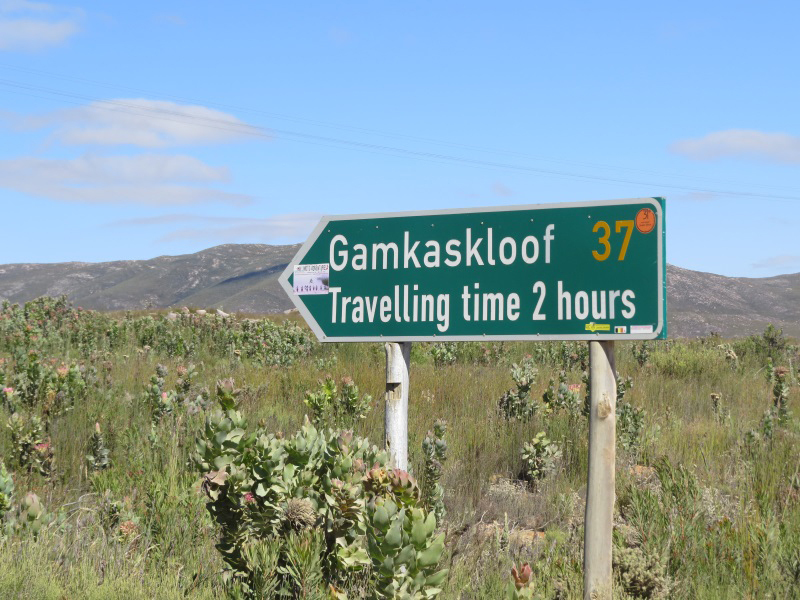 From Sutherland> Ouberg Pass> R355> Tankwa Padstal> just pass the Tankwa Padstal turn right towards Klein Sederberg> Katbakkies Pass> Op die Berg> Gydo Pass> Prins Alfred Hamlet> Ceres> Bainskloof Pass> Wellington> Durbanville> Cape Town. Adventure Bike. The roads were bad, with serious water damage between Laingsburg and Sutherland where, in rain season, you’ll have to manoeuvre through sandy river crossings. Going down Ouberg Pass also challenges rider and bike with damaged rocky roads. The rest of the route has fairly well maintained gravel roads. Experience true SA hospitality at the Tankwa Padstal. 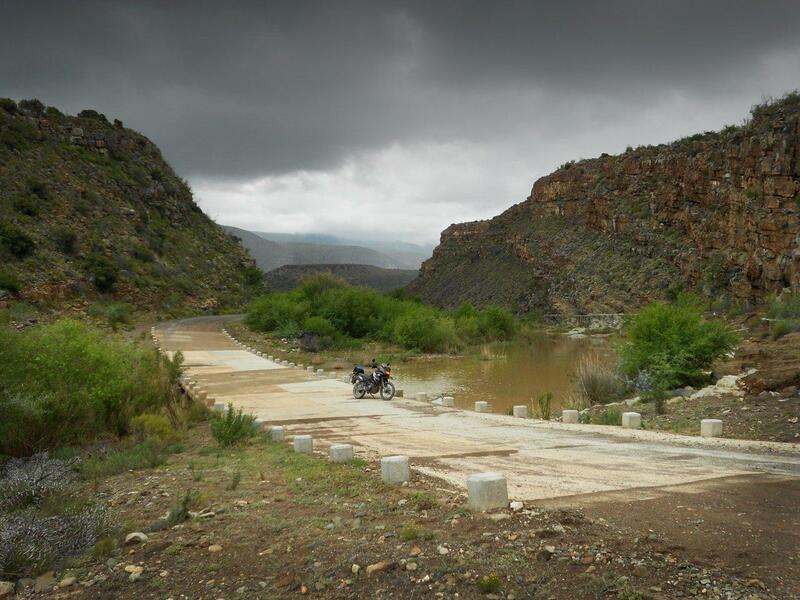 Known spot for bikers and like-minded travellers to refresh, have a great burger and cool off in the ‘farm-dam-like-pool’. Don’t have a number for them, but Facebook them. Train bridge over the Buffelsriver, when entering Laingsburg. Fill up in Montagu, Laingsburg, Sutherland (pumps closed on a Sunday and after 13:00 on Saturdays, but for a small extra fee you can convince the manager to help with some juice. He lives right across the pumps), Prince Alfred Hamlet and you’ll be okay to get home. General mechanic shops in Laingsburg. Loose rocks and bad roads in general between Laingsburg and Sutherland and also Ouberg Pass to be done with caution. Fuel: around R650 depending on fuel usage of bike. The bill at The Jupiter for dinner (4 juicy lamb chops,chips and veggies), drinks, accommodation (room with two beds) and breakfast ( the usual coffee, bacon & eggs) was R500 including a nice tip for the friendly staff. Lunch and a (lite) beer at Tankwa Padstal: R55. 10. Any must-do activities on the route? I never thought I’d get so much rain on this route, so left my rain gear home. Had to stop at Montagu Agrimark for a R120 rain suit. It works better than my expensive, fancy biker rain gear, is much lighter and folds up to a smaller size! Also add some time to your route. Crossing rivers takes time and my friend started worrying as I only reached Sutherland some hours later than planned with no cellphone reception on the route. It’s a beautiful route. Take your time, it’s over sooner that you think. Laingsburg has a big state hospital; 023 551 1237. One Feather, Two Horses at Tankwa Padstal on the R355 between Ceres and Calvinia.